From our publisher, we present you with his 5+ software choices for the year before we get to his hardware recos. 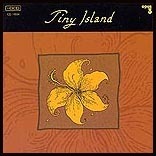 After all, music rules superior over hardware when you're a music lover: Dulce Pontes O Primeiro Canto; Sevara Nazarkhan Yol Bolsin; Elliot Goldenthal Frida; Tomatito Paseo de los Castaños; Astor Piazolla & Oswaldo Pugliese Finally Together I & II; and the baker's quintet, Tiny Island. Click on covers to read the original reviews. 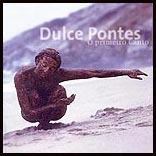 Ladies first: On O Primeiro Canto, Dulce Pontes explodes Fadista culture by expanding the quintessential Portuguese folk song milieu into the international arena, and, on what is arguably her masterpiece thus far, surrounds herself with a stunning cadre of collaborators from around the world. Giving her respect to traditional Fado with numbers that accompany her with the typical Portuguese guitar backup ensemble, you'll also find Galician whistle and bagpipes, Basque accordion, Jazz saxophone, piano and other ingredients very atypical if you triangulated from Mariza, Cristina Branco or Mafalda Arnauth. Sevara Nazarkhan from Uzbekistan follows the footsteps of landswomen Yulduz Usmanova and Mokhira Asadova yet establishes a unique style on her US debut Yol Bolsin, by collaborating with French production wizard Hector Zazou. Eschewing the type of uptempo EthnoPop numbers for which Usmanova's on-stage dance troupe became rapidly famous for, Sevara concentrates on dreamy ballads accompanied on the traditional long-necked doutar lute to evoke traditional images of a Mongolian woman breaking into plain song inside a yurt tent. The magic of Yol Bolsin lies in the tasteful contemporary ambiance of subdued synth beats and mellow grooves that enhance rather than distract from Sevara's haunting vocalizing. 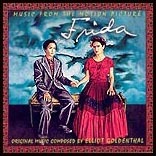 Elliot Goldenthal's moving soundtrack to his wife's big-screen biopic Frida, on the life and passions of Frida Kahlo and husband/painter/activist Diego Rivera, Mexico's most popular icons, is as good as it gets. Digging deeply into the very colorful, macabre roots of Mexican folk music, with a marvellous end-credit duet between Lila Downs and Caetano Veloso while Frida's corpse on her famous four-posted bed go up in flames, the entire album is a masterfully produced journey south of the border, with authentic ensembles and legendary Chavela Vargas making incendiary appearances. Seeing the movie is no requirement to enjoy this music, though the added depth of the vibrant visuals will undoubtedly only add to your appreciation for Goldenthal's inspired touch. 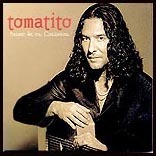 Legendary flamenco 'rock star' Cameron de la Isla's long-term guitarist until the singer's untimely death, Tomatito has since launched a solo career whose year 2000 Spain duet with Jazz pianist Michel Camilo [Verve 314561545-2] is another must own. His solo release Paseo de los Castaños, named after the chestnut avenue of Almeria's Gypsy barrio where he lives, introduces new color in his celebrated Flamenco repertoire, centered on his stunning duet with George Benson whose prelude is a tangoesque duet with violin. Erkan Ogur's lyrical "Bir Ömürlük Misafir" receives a respectful once-over while fiery bulerias, tangos and soleas make up the remainder. Anyone fond of Spanish guitar and modern Flamenco can't fail to include Paseo in the home collection. 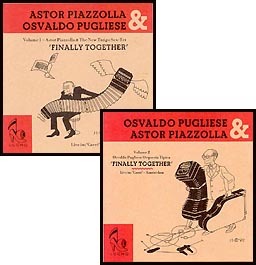 A live recording of what might well be the most legendary occasion in all of tango music -- a Dutch concert combining, on stage, the tango orchestras of Astor Piazzolla and Osvaldo Pugliese who, as far as popular perception was concerned, were fierce competitors and foes -- the aptly titled two-volume Finally Together was sent to me by our Dutch writer team of Marja Vanderloo & Henk 'Longbeard' Boot whose since departed friend published these discs on his private label. While acquisition will likely entail contacting our friends in Holland [marja@6moons.com], no true Tango aficionado should be without his or her own watershed copy. Exceeding my own limit of 5 with this 'baker's quintet' gratis copy, Tiny Island on the Scandinavian audiophile label Opus 3 is a dreamy meditation on the glory of guitar, mandolin, lute and bouzouq string tone, a Windham Hill special that teleports you straight inside an old Swedish stone structure overlooking the fjords, with a roaring fire, the endlessness of the ocean and star-lit firmament all conspiring to get you out of your body and into the spirit world. Literally two minutes to 12 o'clock [or two days prior to publishing this], May Audio's benevolent dictator Nizar Akhrass had his personal pet project recording arrive via two-day UPS from Canada. 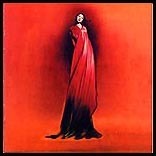 This turned out to be a double album, making something out of this number 2 business. Time to backtrack to a week prior when Nizar called out of the blue to thank me for the review of the Combak Reimyo DAP-777. When told how much I enjoyed the Shaheen/Bhatt WaterLily recording he'd sent earlier, he visibly beamed on the other end of the phone line. When I confirmed to really loving Arabian music by mentioning Sabah Fakhri and Wadi Al-Safi, Nizar promised to dispatch what he called the best recording ever committed to polycarbonate, of this legendary grandmaster of Classical Arabian song whom devotees call 'The Voice of Lebanon'. Being of Arabian ancestry himself, Nizar had spent $50,000 of his own money to organize this live recording when the opportunity on Canadian soil arose. Not speaking the language nor able to read a glyph in the liner notes, I'm hear to tell one and all regardless that if you were interested in, or already converted to, traditional Arabian song -- seduced and romanced by the artistic gravitas equal to an Ali Akbar Kahn, Ghulam Ali, Warda, Salamat Ali Khan or The Sabri Brothers -- this 16-track recording by one of the most revered living exponents of Arabian music is a must-own. While a formal review still needs to be written, I couldn't wait to tell you about this discovery and nominate it unapologetically as my "Best of 2003". Needless to say, the recording quality, unlike much foreign music, is top-notch. Allah Akbar - God is Great! Last but not least, from our Editor, we present you with the Eastern Electric MiniMax tube preamplifier, the Audio Zone AMP-1, the VBT/TBI Magellan subwoofer, the BPT BP-3 Signature balanced power conditioner and the Grand Prix Audio Monaco vibration isolation system. 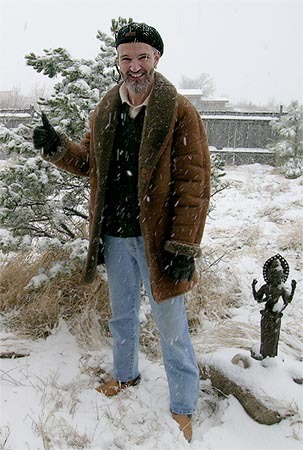 Click on pix/award to read the original reviews. Restricted by my own mandate of five choices, I returned to this year's Blue Moon Award listings and, in a handful of categories, picked one entrant each that offered outstanding performance at a relatively down-to-earth rather than unhinged price, reminding us once again that it's far more challenging to design peak performance when budget's a consideration. The only exception here is the GPA listing that I readily justified by asking myself which relatively recent personal acquisitions had netted the greatest sonic returns in my personal system. To which the plain answer was, the Grand Prix Audio Monaco system [inclusive of Apex footers in lieu of the original stand's and Avantgarde DUOs' spikes & the Formula Carbon fiber/Kevlar shelf]; and the BPT BP-3.5 Signature power line conditioner. This conforms to my routine mantra that power delivery and resonance control done properly are the two 'tweak' areas most pregnant with truly astonishing performance dividends. In many instances, these will be considerably more pronounced than a standard component upgrade elsewhere. Where vibration isolation is concerned, the GPA solutions are the most fastidiously designed, offering no-compromise results in an aesthetically very attractive package. Admittedly, they aren't inexpensive. 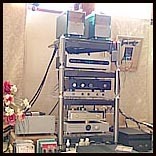 However, anyone with a >$15,000 system would be well advised to consider for his or her next comprehensive upgrade something from Alvin Lloyd's extensive arsenal. Following a close second in the overall improvement potency sweepstakes is Chris Hoff's BPT flagship effort, the monstrously heavy, tweaked-to-the-hilt 2400VA RMS, 10-outlet balanced BP-3.5 Signature Ultra Isolator unit with L-9 Signature powercord. Having experimented with the Audio Magic Eclipse, Furutech RPT-6, Running Springs Audio Haley, original Shunyata Hydra, original Sound Application CF-X, TARALabs PowerScreen and Walker Audio Velocitor, I can state with confidence that in my system and to these ears, the BP-3.5 Sig at $2,495 rules the roost. The Velocitor has since been returned to its maker for installation of a 'small regulation coil'. When asked how this coil responds to whatever it measures, Lloyd Walker replied tersely 'properly', thus launching another witty Walkerism. Reports on how this invention affects the Velocitor's performance -- and whether it will upset the BPT's lead in my rig -- shall remain fodder for 2004. Alex Yeung and Bill O'Connell from Eastern Electric are two audiophile miscreants to watch: Their $1,195 MiniMax tube preamplifier is shockingly good, extraordinarily well-made for the money and so responsive to tube rolling that any owner could tweak final sonics to deliver exactly what a system needed, and this without resorting to unobtainium super-expensive bottles. To add insult to injury, as of this writing, a matching $1,350 MiniMax amplifier has landed on US soil, and a tubed CD player will be introduced at CES. Make no mistake; while these components don't claim to be the world's best, they merit serious consideration for inclusion in a very short list of "best for the price" contenders. To continue this story, your intrepid editor has already put in word to review the next two MiniMax entrants when they become available. At $1,795, the Audio Zone AMP-1 is a poster child for tweaked-to-the-max simplicity, bomb-proof construction and stellar sonics. Those sonics share honors with Kimura-San's notorious 47Lab GainCard and Shigaraki integrated from which the AMP-1 conceptually borrows. This opamp-based topology is the stuff of electrician's training 101 but bona-fide High-End sonic demand attention to the smallest of details. 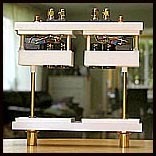 On that count, this Canadian dual-mono integrated with twin attenuators delivers with a vengeance. A related passive preamplifier and monoblocks have already been dispatched to our own Paul Candy for inspection and reportage in the first quarter of 2004. Having heard the very similar Shigaraki 4717 too, I can reassure vacillating buyers a winner either way. The Japanese unit offers 3 rather than a single input, the Canadian superior build quality - hence my final nod goes to the latter. This was further reaffirmed with the just-in-time-for-this-report launch of the $260 passive input switcher. It plugs into the existing RCAs to now offer a total of... you guessed it, three toggle-selectable line-level inputs. 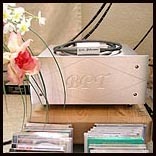 Finally, the inventive offspring of Jan Plummer, formerly with VBT, now with TBI, of the affordable and very unique Magellan subwoofer technology with patent-pending VARTL loading which is described as a marriage of a radial transmission line and vented box. Minimizing excursion requirements to 3mm by obtaining better than 40dB of claimed gain from the box itself, this design utilizes counter-intuitively small drivers which respond with blazing speed and accuracy. The only limitation is ultimate output potential which likely won't be an issue at all for music lovers to whom this design is primarily recommended. While the relative fates of VBT and TBI are a matter of conjecture, the Magellan invention deserves a future, even if two separate companies will henceforth promote their own versions. Meditating which component to bestow this special recognition on if, like the Highlander, there could only be one proved easier than expected: Yamada-San's Zanden Audio Model 5000 Mk. 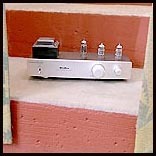 IV DAC. This expensive jewel combines non-oversampling, non-upsampling D/A conversion by way of a Philips Double-Crown chip last made in 1985, a valved power supply/output stage and a patented analog reconstruction filter claimed to be far more phase-linear than conventionally employed variants. It's been my source component of choice ever since my original review. 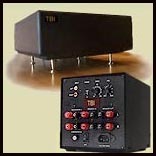 Two veteran audiophiles whose hearing I trust have added further context, by comparing the Model 5000 with their latest Meitner and dCS components. They prefer listening to this rare discovery from Japan which combines seemingly outdated chip sets with cutting-edge analogue-domain inventiveness. And it appears that things are about to get better yet. Yamada-San has announced the imminent launch of his own transport and promises groundbreaking, patent-pending reclocking technology said to go beyond Esoteric's $15,000 luxury spinner. While priced to remain an exclusive product aimed at convincing vinyl lovers to embrace digital without reservation, this Zanden DAC is the most outstanding cost-no-object example of unconventional thinking, top performance and unassailable build quality I've encountered in 2003. Bravo to Yamada-San and the makers of all components listed in this, our first year-end roundtable poll culled from 6moons' growing stable of writers. An extra-special thanks to all our reviewers for their painstaking efforts and wonderful support!